When you wear this shirt, there is no questioning what your favorite target is when it comes to putting live ammunition down-range. 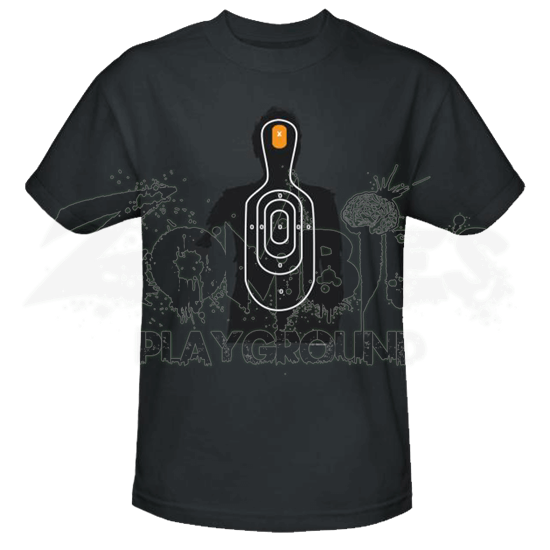 And even better, the Zombie Target T-Shirt shows exactly where you should be shooting when aiming at the walking dead. This shirt is made from quality fabric, making it extremely comfortable to wear. The charcoal base makes for a simple background, against which a black shooting target is set. Far from your traditional target, this one features the haggard and decrepit appearance of a decaying zombie. Like a traditional target, this black silhouette features white colored rings that designate points to aim for when shooting. Unlike a traditional target, virtually all of the areas shown on this shirt are worth 0 points. The head, however, features an orange area with an X, which marks the only spot you should ever aim for on a zombie, because it is the only shot that will put a zombie down for good. This fantastic shirt is made from 100% quality cotton and it features a standard fit. 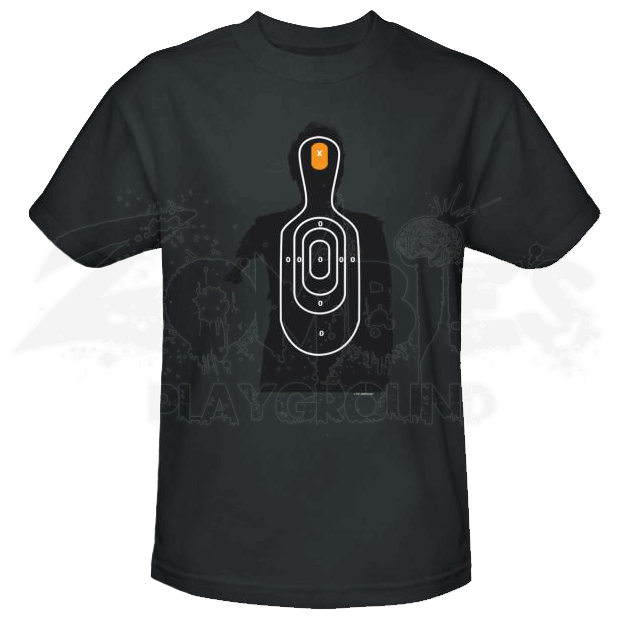 The Zombie Target T-Shirt is not just a great t-shirt to pull out of your wardrobe and wear every now and then, it is also a valuable reminder that with zombies, there is only one shot that counts.